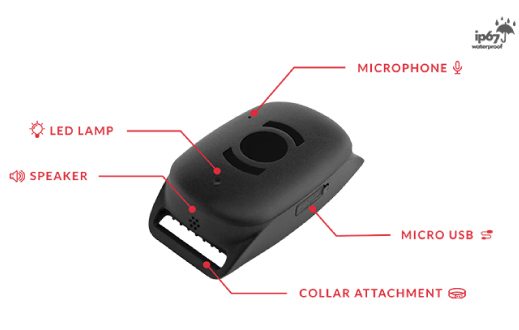 MiniFinder® Atto is one of the world's smallest pet GPS tracking devices on the market. It is waterproof, small, and lightweight. The size of Atto is only 61 x 35 x 16 mm and it weighs as little as 38 g.
The distinctive feature of the device, in addition to design and size, is the battery life. In the standby mode, the device can last up to 20 days. Atto is the only unit of this size on the market can achieve this. 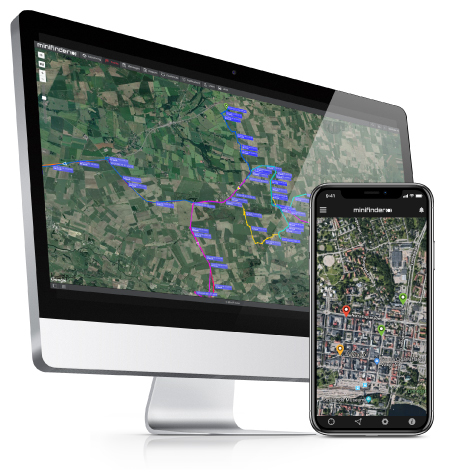 GPS Tracker Atto is based on the world's leading GPS technology and has a built-in GPS chip from U-Blox (Swiss made) that is lean and powerful. Minifinder® Atto GPS tracker will help you keep the full track of your pet. Besides positioning, you can also "talk" to your pets and give them commands. The speaker is strategically located on the side of the unit, so your dog can hear your voice as best as possible. Atto is your pet's best friend. No matter whether you need to keep an eye on a big or a small animal, MiniFinder Atto is the perfect solution for the task. Behind the small shell, it is the technology of the highest quality. Device is well suited – for all kind of pets tracking. The device supports speed limit function. If it is over the speed limit, an alarm will be sent to you. When the device's battery goes below 20%, it will send you a low battery warning. The device will automatically send the latest available GPS information to the preset numbers when it enters an area without GPS signal. The device supports two-way communication, which means that you can call its phone number and give an order to your pet. After this function is turned on, it will send you a motion alarm as soon as the device detects a motion. When making a silent call to the tracker, it will automatically answer your call and give you an opportunity to listen to what happens in its surrounding. After defining a safe zone in the APP, you are ready to receive an alarm when Atto leaves the GeoFence. Atto sends its position as soon as it detects movement. Open up the APP and watch its movements in real time. 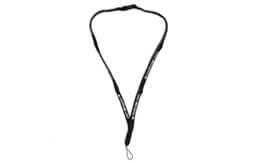 MiniFinder® Lanyard – produced in soft fabric with a safety clasp. 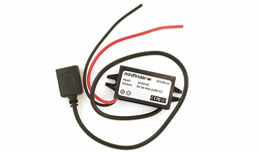 Can be connected to car, truck, excavator, ATV, motorcycle, etc. An adjustable cat collar in nylon and a bell that warns birds as well as other animals when a cat is approaching. The dog collar is made of TPU material that is extremely durable.